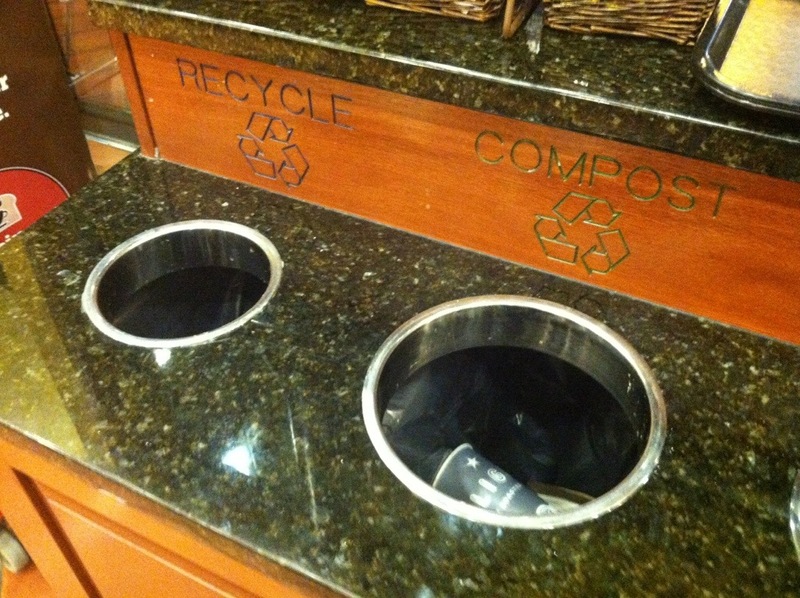 Seattle is pretty cool in lots of ways, but one of the things that is most impressive is that all their cafés offer compost as an option in with trash and recycling. Reduction of waste in landfills! Uneaten food becomes nourishment for plants! Happy eco-goodness abounds! Except all of us librarians from places where you’re lucky to find a recycling bin in a five-mile radius have no idea how to use the things. 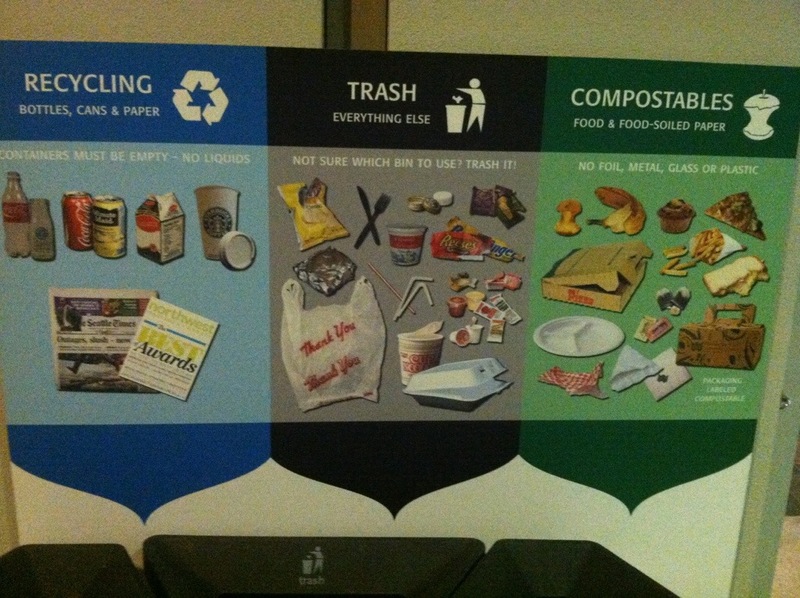 I love the Convention Center’s solution: posters. They remind me a little bit of the how-to books from the kids’ section of the library: super, super basic. They assume we have absolutely no idea how this works, and because they are absolutely right, those giant posters depicting half-eaten hamburgers and empty coffee cups are neither ugly nor demeaning. They are awesome. I only hope the idea catches on everywhere, so one day people in every city will head out the door, separating out trash, recycling and compost without even having to think about it.